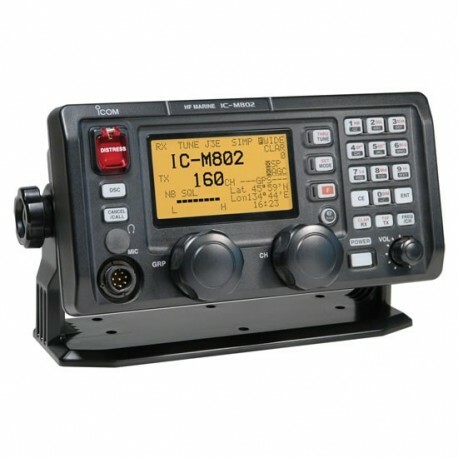 ICOM IC-M802 For added safety at sea, the IC-M802 offers the latest in one-touch DSC emergency communications technology. Read a Quick Reference Guide for the M802 here! The IC-M802 offers an industry-standard 4-inch tall (10.16 cm) remote controller. 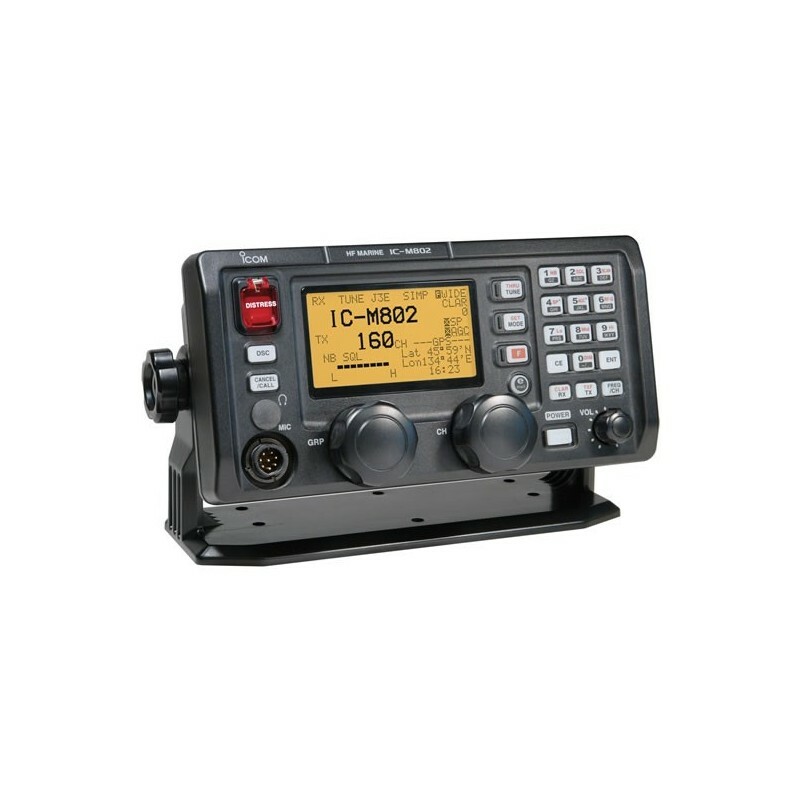 When set up with the IC-M502 / IC-M504 VHF radio, Icom offers you a complete communications station. 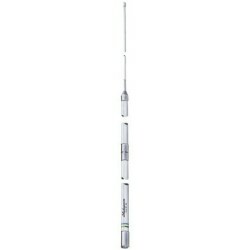 150 Watts of power offers superior worldwide communications. 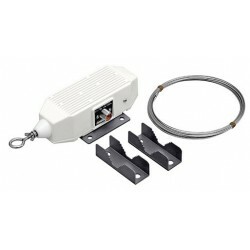 A one piece, die cast aluminum chassis and a large cooling fan allow continuous transmission at full output power– very important for data communications, like e-mail. An SSB first! The IC-M802 can be set to memorize your HF e-mail access frequency, mode and bandwidth settings. At sea e-mail has never been easier. * Please consult with an HF e-mail provider for details.